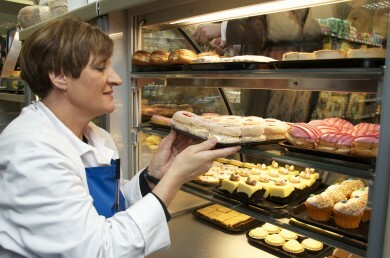 The 100th in-store bakery was opened in Scotmid Balloan. 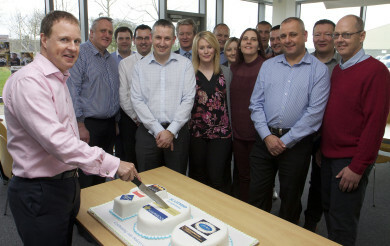 "We are extremely proud to be one of Scotmid’s selected craft bakery partners. It is very refreshing to work with a retailer that shares the same passion for quality, freshness and customer service." 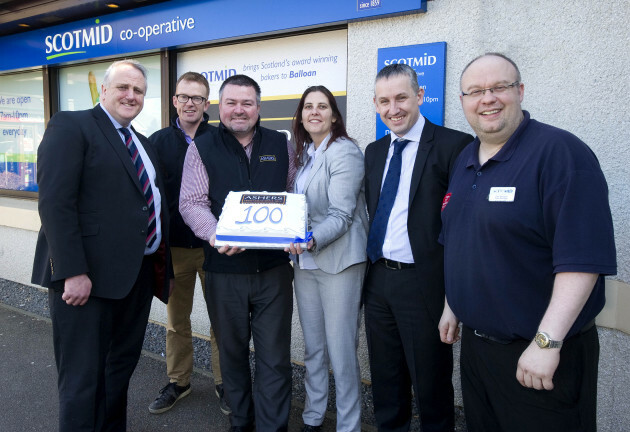 Scotmid Co-operative and Scottish bakers are celebrating after officially opening the 100th in-store local bakery in Scotmid Balloan in Inverness. Scotmid has been undertaking a major project to add bakeries to its stores across Scotland and Cumbria, in a drive to support more local bakers and provide an improved range of bakery products for customers. 100 stores have now been fitted with bakery counters with help from a local bakery partner, offering cakes, savouries and baked goods, while other stores now stock locally-made, artisan breads. Store staff have also received special training from the bakers as part of the partnership. Scotmid has now established partnerships with seven Scottish craft bakers, including Ashers Bakery of Nairn, Aulds of Greenock; The Breadwinner Bakery of Edinburgh; Goodfellow & Steven of Dundee; J.G. Ross of Inverurie; Stephens Bakery of Dunfermline; and Stuart’s of Buckhaven. Scotmid also has a new partnership with English baker Bryson’s of Keswick, for its Lakes and Dales Co-operative stores in Cumbria. The 100th bakery in Scotmid Balloan has been set up in partnership with Ashers Bakery of Nairn. Chief Operating Officer, Colin McLean, cuts the cake to celebrate the 100th bakery. Scotmid’s local bakery project started in August 2012. The first partnership was set up with Stephens Bakery of Dunfermline. The first Scotmid store to have a local bakery was Polbeth.